6D/4N holiday package for 2 to London and fly with Malaysia Airlines’ new A380 aircraft worth RM20,000. 6D/4N holiday package for 2 to Istanbul or Bali. * up to a maximum of 5 forms per redemption and a maximum of 2 receipts per customer per day. 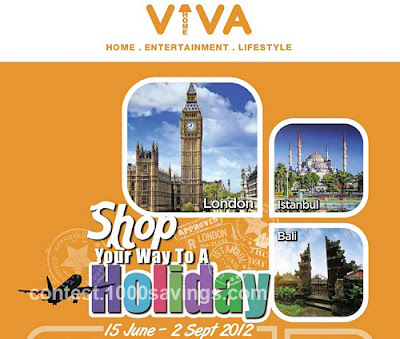 Visit Viva Home website for more details. Join now & win the Grand prize today - "MacBook Air". Lucky draw today at 6pm! Good luck everyone!